“Serious gaming” is a growing trend that is attracting the attention of the industry and the research community. Basically, a serious game is a virtual interactive simulation, in which players learn skills and competences that can be then applied in the “real” world. The adjective “serious” refers to the fact that these games that are designed to not only entertain users, but have additional purposes such as solving a problem or promoting change at the individual/societal levels. By engaging in simulations of real situations, participants try to reach a the game’s goal by enacting specific strategies and behaviors. Advocates of this approach claim that serious games foster motivation to learn, offer immediate feedback, support skills development and facilitate knowledge transfer. In addition, by playing in a virtual world users can experience their own actions to be effective, thereby gaining a feeling of self-efficacy. However, these claims have received so far little empirical evidence because research in this field is still in its infancy; in particular, few studies exist to date that have assessed the effectiveness of serious games beyond usability evaluation. Advergames (a portmanteau of "advertising" and "gaming") are used to advertise a product, organization or viewpoint. Games for training are designed to train employees in variety of domains, including commerce, business, industry, emergency services, and the military. For example, Luca Chittaro and colleagues at the HCI lab of University of Udine have created a a 3D game for improving decision making skills of nurses working in ambulance services (video). In this paper published on the Journal for Computer Game Culture, Johannes Breuer and Gary Bente provide an in-depth discussion on the relationship between serious games and learning. 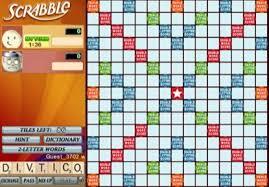 Games for Science and Research have the specific purpose of helping scientists in processing complex data (i.e. the Folding at Home project, video) or improving the public understanding of science. Another example is Power of Research, a free online strategy game designed to inspire more European young people to choose research careers. The category Production include games designed for supporting the development/manufacturing of new products. Finally, Games as Work refers to games that players use to earn money or other type of material rewards (i.e. professional gamers, games designed to collect funds or donations). 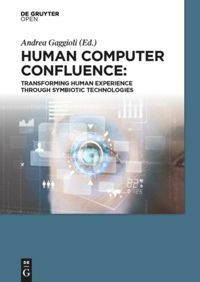 In sum, interactive serious games represent an interesting new trend in HCI which has several implications for cyberpsychology research and practice. Actually, although serious games are proliferating and applied in a number of different domains, several issues remain to be addressed concerning their design and evaluation. Research topics that are relevant to the field of cyberpsychology include, for example, the definition of methods/procedures/guidelines for assessing games outcomes and the elaboration of underlying theories (i.e. Flow, Presence etc.) that explain psychological mechanisms elicited through serious game play. Here, we provide a list of web resources related to serious games. Serious Games Initiative is a site focused on uses for games in exploring management and leadership challenges facing the public sector. Serious Game Classification This site provides collaborative classification system suited to Serious Games, based on multiple criterias. The games are classified according to their gameplay, their purposes, their markets and target audience, alongside with user-contributed keywords. Ludus Project is the website of the EU-funded project LUDUS, which aims at creating a European network for the transfer of knowledge and dissemination of best practices in the innovative field of Serious Games. Serious Games Market is a blog providing information about recent market trends in the field of serious gaming. Serious Games Conference is a conference that explore the world of serious games. Serious Games Summit focuses on the application of videogames in training, health, education, behavior change, science, advertising, and general productivity. In this video from the TED conference 2010, game designer Jane McGonigal explains the prosocial potential for video and online games. An interesting example of the increasing role played by Positive Psychology in interactive design and development. The Robert Wood Johnson Foundation (RWJF) announced more than $1.85 million in grants for research that will offer unprecedented insight into how digital games can improve players’ health behaviors and outcomes. With funding from RWJF’s Health Games Research national program, nine research teams across the country will conduct extensive studies to discover, for example, how the popular dance pad video game Dance Dance Revolution might help Parkinson’s patients reduce the risk of falling, how Wii Active might be most effectively implemented in high schools to help overweight students lose weight, how a mobile phone game with a breath interface might help smokers quit or reduce their tobacco use, or how facial recognition games might be designed to help people with autism learn to identify others’ emotions. Health Games Research is supported by an $8.25 million grant from RWJF’s Pioneer Portfolio, which funds innovative projects that may lead to breakthrough improvements in the future of health and health care. The national program, which conducts, supports, and disseminates research to improve the quality and impact of health games, is headquartered at the University of California, Santa Barbara. It is directed by Debra Lieberman, Ph.D., communication researcher in the university’s Institute for Social, Behavioral, and Economic Research and a leading expert in the research and design of interactive media for learning and health behavior change. The grants were awarded under the program’s second funding round to strengthen the evidence base in this emerging field. The Daily Telegraph reports that the Nintendo Wii Fit Plus, which goes on sale this Friday, got the permission to use the NHS’s Change4Life logo in its advertising on television and in shops. From next year, it is possible that the logo will be used on the product itself, an unprecedented partnership between a video game and the Government. Change4Life is a public health programme in the UK which began in January 2009, organised by the Department of Health. The campaign aims to encourage people in Britain to lead healthier lives, using the slogan "eat well, move more, live longer"
A spokesman for the Department of Health told the Telegraph: "Active video games, where kids need to jump up and down or dance about as part of the game, are a great way to get kids moving." View more documents from avantgame. The current issue of Science has a special section on the use of technology in education. I found particularly interesting the article by Chris Dede about the potential offered by immersive interfaces for learning. According to Dede, the key benefit of immersive media is their ability to combine actional, symbolic, and perceptual factors, providing the participant with the impression that she or he is "inside" a digitally enhanced setting. In another article included in this special issue, Merrilea Mayo reviews the most promising applications of videogames in science and technology education, and describes the challenges to be faced for the wider adoption of this approach. Players of a new online game called Foldit will help design three-dimensional protein structures for HIV vaccines, and enzymes for repairing DNA in diseased tissues. David Baker, a leading protein scientist at the University of Washington, teamed up with computer scientists to create the game. BusinessWeek has published an article this week where David Boker, senior director of the Business Development Group at Microsoft's Aces Studio, one of Microsoft's game studios where ESP was developed, says Microsoft conservatively estimates Serious Games market at $9 billion. Parents with diabetic kids know how difficult it often is to convince the young ones to take regular glucose readings. Now a Minnesota company called Guidance Interactive Healthcare managed to fuse a portable glucometer with a Nintendo Game Boy Advance videogame cartridge. The idea is that the hybrid cartridge is preloaded with a number of games, and kids have to submit themselves to regular readings in order to unlock games and get points that can then be used in the games to get to higher levels. Currently only available in Australia, the device should prove a hit with the parents, while the kids might be wondering why they got a locked down game cartridge that feeds on human blood for Christmas. discriminated against. What do you do? This scenario is just one in a series of Bytesize Basics serious games which are designed to allow 'frontline workers' to 'play' with methods of inclusive service delivery away from the frontline. 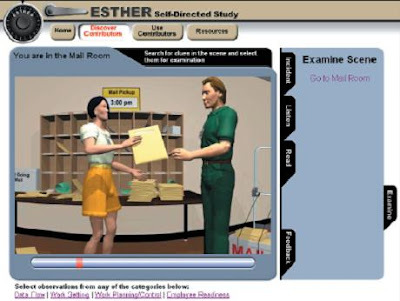 Users are immersed in a virtual safe haven to explore the consequences of their actions in choosing a 'solution' which leads to a video outcome scenario of the likely impact of their choice or decision. Players are also offered counsel support from a virtual tutor expert. Individual or collective users are given the opportunity to play out a numbered of potential scenarios. These are based on their solutions choices to further imbed understanding of likely outcome when seeking to support a colleague in the workplace who confides they are feeling discriminated against. The Institute of Digital Learning at the University of Wales, Newport (UK) has been successfully applying serious games positive technologies as a mechanism of empowering workers with virtual experience and knowledge transfer that allows them to deal with situations relating to Equality & Diversity as they arise in a workplace settings. The Challenging Racism in the workplace serious game is one of open source resources developed as part of the Addressing Barriers - Enhancing Services series of Equality and Diversity etraining resources as part of the European Social Fund Welsh Equal Equinex project. Dave Phillips from the South East Wales Racial Equality Council was instrumental in developing the eTraining resource. Other approaches include the use of virtual tutor expert tutorials, topic resource manuals and MP3 downloads. In addition to Racial Equality training the other Awareness raising topics include Homelessness Awareness, Disability Equality and Age Diversity contextualised for frontline workers in the Welsh/ UK Lifelong Learning sector. Cognitive Informatics investigates usability and training effectiveness of a game-based training application in the domain of cyber-security education. They conducted a usability evaluation and described cognitive principles that may be used as part of a systematic process to design more effective serious games as resources in education and training. The Serious Games Institute will be based at Coventry University Technology Park and built on the West Midlands’ excellence in computer games to diversify into non-entertainment uses such as simulation, education and training. The centre is currently under construction and will be linked into satellite centres at Coventry University and the University of Warwick. The Serious Games Institute will be fully operational by the autumn of 2007 but it will be holding a series of events to raise awareness between now and the opening date, including a special serious games workshop on Tuesday March 20 at the Technocentre Creativity Lab.